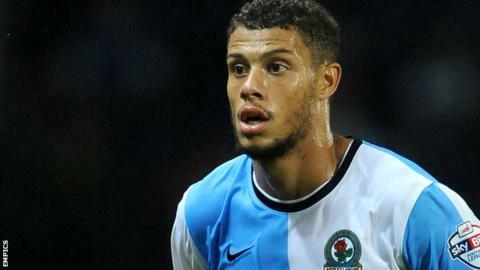 Crystal Palace have made a bid for Blackburn Rovers striker Rudy Gestede. The Benin international has scored 25 goals in 52 games since joining the Championship club from Cardiff, initially on loan, in November 2013. Rovers manager Gary Bowyer confirmed last week that Hull were one of a number of clubs interested in Gestede, who has netted 12 times this season. The 26-year-old was left out of Saturday's 1-1 draw at Wigan because of the bid. "He was part of the preparation at the beginning of the week, but then obviously things changed," Bowyer told BBC Radio Lancashire after the game. "He's been fine. He's aware of it. He's handled it superbly well as he's a top lad and we're all waiting and seeing what is happening with the developments. "One thing I will say - the Premier League clubs have to meet the valuation of our players." Gestede came through the youth system at Metz and also had a year at Cannes before moving to Cardiff, but he made just 15 starts in more than two years with the Welsh club prior to his move to Blackburn. Recently-appointed Palace boss Alan Pardew has already brought in Arsenal striker Yaya Sanogo on loan until the end of the season.